Famous for its peaches, peanuts, pecans and warm southern charm, the Everything Georgia "Stamp" tee encompasses everything that Georgia represents! 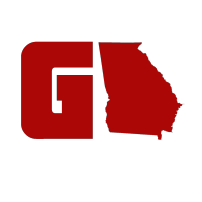 For all the true Georgians out there! Get a CAR DECAL too!